All well with Priyanka Chopra and Shahid Kapoor ? Ever since they started shooting for Vishal Bhardwaj's Kaminey two years ago, Priyanka Chopra and Shahid Kapoor's off-screen association has always been a subject of speculation. The actors have never denied or admitted to being together, yet rumours of their alleged relationship continue to flourish. Sources say that the two recently decided to avoid coming face to face because of the reported bad vibes between them. To the extent that Priyanka shot for an ad of a coffee brand that she and Shahid endorse together, all alone. But she laughs off the reports saying, "We're both brand ambassadors. And most definitely, there is no bad vibe between Shahid and me. He's such a fun colleague and our previous ad worked really well." On being asked why she didn't shoot for the ad with him, she explains, "The officials at Bru wanted us to do some commercials alone to promote the variants," she rues, adding, "No one checks with us and the reports that eventually come out are extremely demeaning. By the way, we're shooting an ad together in the next two days. That I'm sure will lead to another set of speculations… that we've patched up and buried the hatchet and so on. Don't you guys get tired?" While one set of recent reports claimed that Shahid was upset with Priyanka for planting negative stories about him in the press, another stated that he wanted her back in his life and was following her around. But despite excessive efforts, Priyanka refuses to clear the air on their relationship. "I don't want to clarify any speculations," she says. "If I put an end to one rumour, another one is raked up. It makes no sense to continuously answer people whom I'm not answerable to. I have never spoken about my personal life and equations, and I choose to maintain that throughout my life." Meanwhile, the actors have begun shooting for Kunal Kohli's love story, tentatively titled Janam Janam Ka Saath Hai Hamaara Tumhara. "If the producers don't like the title, they will change it. But it's on floors; we've started on the date we thought we would," says Priyanka, adding that Shahid and she have had several script reading sessions together and independently. "We've been paired opposite each other. We're supposed to emulate various forms of love on screen. If there's any bad blood and we don't get along with each other, do you think we'll be able to play a romantic couple on screen convincingly?" Shahid Kapoor and Priyanka Chopra are caught in a game where the interests and money of too many people are at stake. Some of their close friends in the marketing industry admit that it is the “need of the hour to keep the Shahid-Priyanka link-up alive”. The two have ads and films together. So in spite of the two stars not knowing about the developments and their publicists distancing them from it, stories about the pair’s break-up and make-up continue to float. “The couple have already signed a movie together, and are in talks about doing two more.Besides, they are also endorsing a brand together, and have been approached by two more companies to be their brand ambassadors. It is but natural that some of them would want them to be the mosttalked about couple in B-Town,” says a marketing professional, who’s dealing with the stars’ brands. What’s working in the favour of those trying to capitalise on the stars as a couple is the fact that Shahid and Priyanka apparently made a decision to not talk about their relationship in public. “They have never clarified the status of their relationship – whether they are a couple or not. In fact, they publicly declared that they’ll not react to whatever is written about them. This is where they have gone wrong,” says the source. A former publicist of one of the stars admits that Priyanka had strictly instructed them not to entertain any queries about their relationship. “The publicists are free to say that Priyanka wouldn’t talk about it without even asking Priyanka. Ditto with Shahid, who has not bothered till date about what is being written about them. We used to look the other way every time there was a rumour and not inform Priyanka,” says the former publicist, who believes that this led to rumour mills working overtime to keep the couple in news. The worst part is that there are rumours that some small-time publicists are being paid to circulate gossip about the stars. “They know it is a vicious process. Gossip will be created which will lead to Shahid and Priyanka being asked about it at public events, who’ll deny it and the process will continue,” says the source. While their off screen love story has hit rock bottom, Shahid and Priyanka will romance each other in four different avatars on the celluloid. Buzz is that Kaminey's hit jodi will don the role of four couples across four cities depicting four different facets love. Accordin g to sources, "When Kunal Kohli came up with the idea of depicting four different facets of love based in four cities with Shahid and Priyanka, the first step was to make each couple look different. It's not only the look that will change either. "Their body language and their speech will also undergo drastic change in each of the four segments," reports Mumbai Mirror. Lets see if their reel chemistry can once again transform into real love. Shahid Kapoor is pretty annoyed with his ex-flame Priyanka Chopra for planting stories about him trying to woo her back. When Shahid confronted PC, the matter went out of hand resulting in a big argument, and Priyanka ended up crying. Shahid and Priyanka broke up a long time back but stories a bout him chasing PC haven't stopped yet. Shahid is disturbed by stories that talk about him desperately chasing Priyanka to woo her back into his life. He has moved on and so has Priyanka. But the stories didn't stop. The actor refused to take a stand though friends suggested that his ex might be behind the stories. When he'd bring it up, she'd vehemently deny it or start crying. The actor would take her at her word and leave it at that," a source told Mid Day. 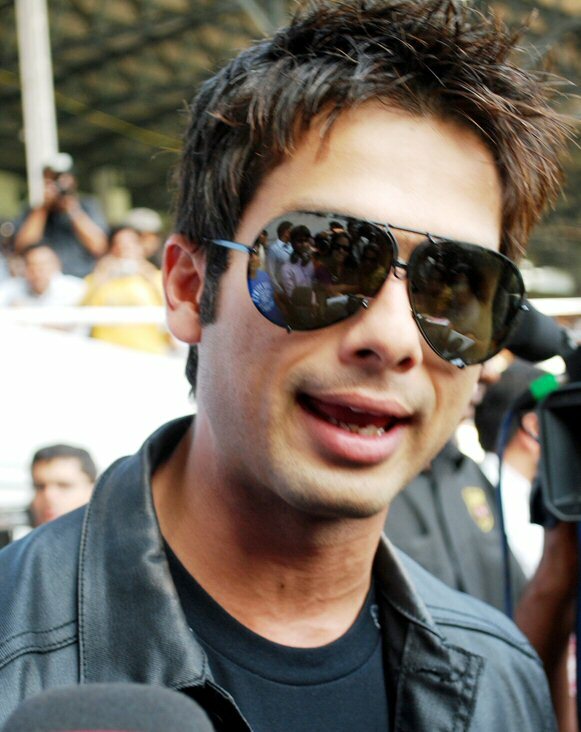 Shahid was called a 'stalker' by a section of media which he couldn't tolerate. "Shaks was extremely upset at being called a stalker. He decided to get to the bottom of the matter and confronted PC. The logic was, if he had to contact her, he would do it in seclusion and not in front of 50 people at a party," added the source. When Shahid confronted her, teary-eyed Priyanka explained that she's not the one spreading false rumours about him. "She kept telling Shahid she had no clue why people were talking like that. That night, a nervous PC called Shaks again to reassure him that she would sort the matter out and give a clarification denying that he was chasing her, if necessary," informed the source. Priyanka again called up her ex-beau and assured him to give a statement. "Shahid did get a call on Monday from Priyanka. She was upset and told Shahid that she will give a statement to say that there were no calls to her and that Shahid was not stalking her. She assured him that she wanted to clear the air. Shahid was very disturbed by the false claims that he is stalking Priyanka. He meets her very often for readings of Kunal Kohli's film and doesn't need to chase anyone," stated Shahid's spokesperson. Priyanka finally gave a statement denying reports about Shahid pestering her. "I am appalled by these reports. This is completely untrue and is just a figment of someone's overactive imagination. Shahid and I are friends and are soon to be co-stars in a new film. These are baseless rumours and frankly, very demeaning to both of us," PC told the tabloid. Shahid Kapoor and Priyanka Chopra's on-off on-off relationship would surely make a good film script. They have reportedly parted ways at present but the story has not ended. It seems Shahid is keen to win her back but Priyanka is tired of this unsteady relationship and has refused to attend his calls. It is said that Shahid bombarded Priyanka's mobile phone with calls and emotional text messages while she was enjoying at Shahrukh Khan's recent party. Shahid's name kept flashing on her phone screen but she reportedly ignored his calls and danced away with Kolkata Knight Riders team and a few Bollywood celebrities. Sources said that Shahid started sending emotional text messages to her and even enquired their mutual friends about the party. However, the actress reportedly ignored his calls and messages, though she was holding her mobile phone tight! It looks like Shahid-Priyanka relationship is all over! Simi Garewal's new chat show features most desirable actors and actresses, who talk about their single hood status and romantic affairs. Shahid Kapur, one of the actors, was happy to be on the show, but he was amused to get a terse command from the lady — "Wear the Mausam airforce uniform and come on the set!" Shahid was taken aback by the instruction and checked with his producers if they could get permission from the Air force authorities to do so. However, the officials turned down the request saying the uniform was only allowed to be used on a film set. Hence, Kapur will be seen in his regular casuals on the show. Having completed eight years in the industry recently, the actor had earlier tweeted: “Today I complete 8 years as an actor.... Thank u all for all the love.. I’m here only cause of u ... So thank u again ! !” But celebrations apart, the actor seems to find his name being dragged into one controversy after another of late. And the star is surprised when he sees his name popping up from unexpected quarters, even as are the other names involved. For instance, when the actor was away shooting for his dad’s film, there was some buzz about him having approached actor Ajay Devgn to push forth the dates of his action film Singham to avoid it clashing with his own romantic drama. However, an insider reveals that all such reports are not true at all. “Neither Shahid nor anyone else from the unit of Shahid’s film ever approached Rohit Shetty or Ajay to change their release date for Singham. We do not know who or where these reports come from,” said the source. In fact, Shahid is totally engrossed in his film and has little or no time to think about anything else. “So it’s funny how rumours of either his link-ups or such other ones originate from,” the source added. “Shahid has been eating, breathing and living only this film since the last year. He has pushed himself as an actor in this film too,” said another unit hand, as he recalled shooting for a particular scene in Switzerland. “We were to shoot in knee deep snow. But it could be dangerous to health, so we wanted to shoot with fake snow. But Shahid refused to give in and shot continuously for six days in the knee-deep snow. We had to have ambulances on stand by,” he revealed adding that they may not be surprised to see Shahid having withdrawl symptoms post the wrap up. But lucky for Kapoor, soon after he wraps up Mausam, the actor will plunge into his next two projects including Heer Aur Ranjha and Kunal Kohli’s film with actress Priyanka Chopra. While she's more famous for being Ranbir Kapoor's arm candy at recent events, Angela Jonsson is also a calendar girl. Her link-up to the Casanova actor recently made headlines as did her tryst with Shahid Kapoor. Says a source close to the model, "The last couple of weeks have been traumatic for Angela and her family. She has been caught up in one controversy after another, apart from being accused of linking herself to hot and happening stars only for publicity and to get a foothold into the film industry. Angela is a well-behaved and soft-spoken girl from a decent family and was aghast to find herself in the spotlight with negative stories piling about her. While she has dated Ranbir, has attended parties and has gone out with him in public, Angela has not interacted with Shahid at all beyond meeting him a few times at parties, one of which Ranbir accompanied her to." The source adds that what bothered Angela was when stories of her dating Ranbir started getting leaked to the media and was then blamed on her. "Angela has little knowledge about B-Town so it came as a shock to her when there were reports that she was spreading these stories." Angela says, "I have always refrained from commenting on my personal life so far but the news reports that have been doing the rounds have caused immense and unnecessary stress to my family and to me. Therefore I need to set the record straight once and for all. Yes, Ranbir and I have dated. We have gone out to dinner like two normal adults in the city. As any gentleman would and should, he asked me out for the record. Since winning the Kingfisher Calendar Hunt, my modeling career has done better than I ever expected. None of the successes can be attributed to anyone other than to my hard work and that of my agents." On Shaks, Angela says, "I have met Shahid socially and haven't spoken much to him at all. I've met him at Anushka Sharma's birthday, which Ranbir took me to and again at Ranbir's house party as well. I do not have his phone number and have never texted him." Ranbir remained unavailable for comment. A source close to Shahid says, "Shahid has met Angela socially a few times  at his birthday party, Ranbir's house party and Anushka's party where Angela came with Ranbir. They have never chatted or met beyond that. There is nothing more to it. In fact, Shahid was very upset to hear about stories linking him and Angela." Swimsuit model Angela Jonsson is discarding men in her life faster than you would discard a swimsuit. Just days after she was linked to Bollywood's Casanova Ranbir Kapoor, it is rumoured that she has left him for another Kapoor boy-Shahid Kapoor. After the model was seen cozying up with Ranbir at his residence and various nightclubs, buzz is that she has moved on to Shahid Kapoor and all for the sake of publicity. Buzz is that her 'Kapoor boys escapades' are an attempt to break in to the industry and dining with A-listers is surely the easiest way to get spotted. A source told Mumbai Mirror, "Ranbir hardly knew Angela. However, being a ladies' man, he reciprocated to her overtures with much gusto. But he never thought he'd get linked up with her. Apparently, photographers were told to click Ranbir with Ms Jonsson in public. Somehow, these pictures always made their way to the media." However, when Ranbir realised what the young starlet was up to he immediately stopped taking her calls or entertaining her at all. Undeterred by Ranbir's dismissal, Jonsson has reportedly moved onto Shahid Kapoor. "So what's wrong in her being seen with happening young guys? Every heroine aspires to do the same. Angela just succeeded in her strategy. Why grudge her that?" A young actress told the tabloid. Seems like Ranbir has met his match! Shahid Kapoor resumed filming for Mausam after five day break to nurse a hand injury sustained on set on May 15 and first reported by Sawfnews.com. May 20, 2011, (Sawf News) - Shahid Kapoor resumed filming for Mausam after five day break to nurse a hand injury sustained on set on May 15 and first reported by Sawfnews.com. 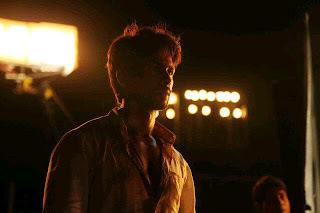 "Back on set MAUSAM .. Last 5 days 25th I wrap the film ....." Shahid tweeted May 20, afternoon. As Sawfnews.com first reported Shahid injured his hand in an accident when a giant wheel fell on his hand during the shoot at Jogeshwari in Mumbai on May 15. He was immediately taken to ER and treated. He was advised to rest for a few days and allowed to go home. If not for that accident, Shahid would have been done with the shoot today. 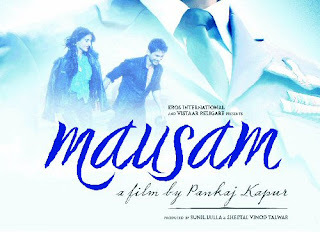 "On set mausam .... Last 5 days http://yfrog.com/h25wfxtj along with his photo on the set which seemed like a night shoot. Sonam Kapoor, the female lead in the film, is not part of this patch work schedule. A year in making, Pankaj Kapoor's romance drama is due for release on July 22. The film will clash on Box Office with Ajay Devgan's Singham, a cop thriller, due for release on same day. 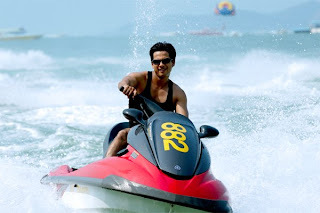 Shahid dedicated the entire 2010 and half of 2011 to Mausam. Late last year he started looking for his next projects and has signed up two films - Sajid Nadiadwala production Heer Aur Ranjha to be directed by Sabir Khan and Kunal Kohli's untitled film with co-star Priyanka Chopra. Shahid Kapoor injured his right arm after he was hit by a Ferris wheel during the shoot of Pankaj Kapoor’s ‘Mausam’ at Jogeswari in Mumbai last night. An eye-witness from the set revealed that Shahid was performing a stunt when he fell from a giant wheel, though luckily not from a great height. The actor was taken to the doctor immediately and has been advised rest for two days. The calamitous incidences don't' stop there. On the same very night two lightmen on the sets were injured when a rostrum holding them 70 feet above the ground gave away! Luckily, no one was seriously injured. The crew believed that Special Forces were at work that day which saved all the victims including Shahid, who could have seriously injured his face. However, this is not the first time as Shahid had hurt himself previously during the Scotland schedule of the film in June, delaying the shoot by a week. Producer Sheetal Talwar confirmed the news and said that it was nightmare for all of them and she would rather not talk about it. Miraculously, Shahid and the two light men were saved and nothing serious happened to anyone, she sighed off. Shockingly, Talwar also revealed that the doctors attending to Shahid also got into an accident while driving back in the star’s vehicle. 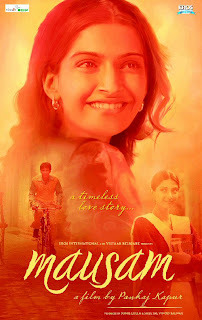 The film, a romantic drama, headlines Sonam Kapoor as the female lead will hit the theatres on July 22. Amrita Rao is back in Shahid Kapoor’s life ! Bollywood's quintessential chocolate cream hero Shahid Kapoor is obviously savoring a lot of female attention lately and after the years that he spent with domineering loud mouth Kareena Kapoor who can grudge it. Shahid Kapoor has recently been spotted spending quality time with Vidya Balan, Amrita Rao and Sania Mirza. Shahid Kapoor's friendship with one of these lovely damsels could turn into romance. Or maybe there will be a fourth, even a fifth dalliance before he settles down. But the buzz going around the industry is that Amrita Rao, the gorgeous babe of Vivah fame, is back in Shahid Kapur’s life and the two were spotted enjoying the late night show of Akshay Kumar starrer ‘Welcome’ at Fame Adlabs in Andheri a few days ago. The gorgeous lady arrived at the theatre in Shahid’s grey Mercedes and remained seated by his side throughout the film. Amrita Rao and Shahid looked comfortable even in the presence of Pankaj Kapur and Supriya Pathak, who were sitting in the next row in the same theatre. 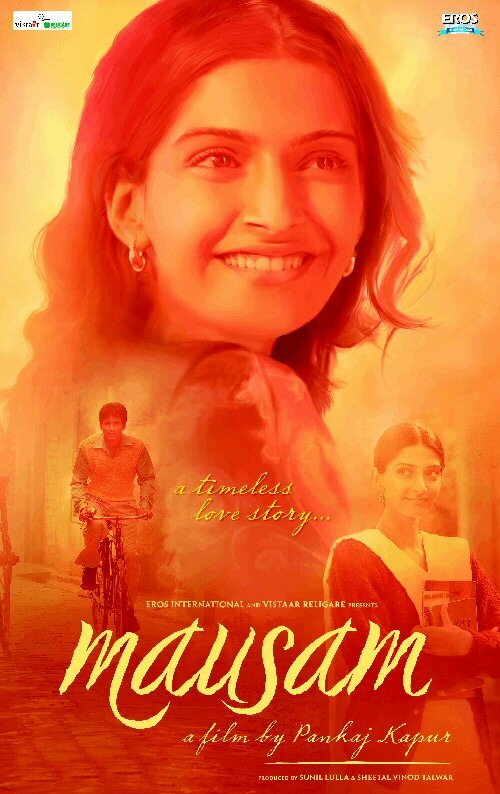 According to sources present on the occasion, the presence of Shahid and Amrita together at the theatre attracted lot of attention and ultimately Amrita Rao had to leave half –an- hour before the end of the movie. But Shahid Kapur remained seated through the film and came out with his father Pankaj Kapur and Supriya Pathak, and then they left in their respective cars. Amrita Rao has acted with Shahid in films like Vivah, Ishq Vishk and Shikhar. The working chemistry between the two has been widely appreciated by the audiences and Rajshri’s ‘ Vivah’ was very successful at the box office. But Amrita Rao has always maintained that her sparkling chemistry with Shahid Kapur is limited to films only, and there is nothing substantial between them off the screen. But Kareena Kapoor, who was dating Shahid Kapur before getting close to Saif, was far from convinced from Amrita’s assertion and suspected that something was going on between Shahid and Amrita. Kareena’s suspicions became stronger when she saw Amrita coming out of Shahid’s van on the sets of Sooraj Barjatya’s ‘ Vivah.’ The grapevine has it that it was the main reason for the break up between Shahid Kapur and Kareena, who were going steady for a long time. Shahid Kapur was briefly involved with Vidya Balan too when the two were shooting for Aziz Mirza’s ‘ Kismet Connection’ in Canada. During the long foreign spell of the film, Shahid and Vidya spent quality time with each other and buzz was that even after returning to India they continued to meet regularly. Of course, they never admitted it in public that they were seeing each other. Then some time ago Shahid Kapur was seen cozying up with Indian tennis sensation Sania Mirza at a suburban five star hotel and buzz was that the two were seeing each other. But now there is a new twist to the whole story and it seems that Amrita Rao is back in Shahid’s life and has occupied the place left vacant by gorgeous Bebo. Hmm..…. Hmm…seems Amrita has taken her movie Vivah too seriously and is out to prove that Shahid truly belongs to her and not to Bebo, Sania or Vidya….er….er….but whatever may be the case between Amrita and Shahid, other eligible bachelors in bollywood must be feeling envious of Shahid’s list of gorgeous ladies, no. Professionally too Shahid is savoring the huge success of his last release Jab We Met and taking his time to pick future projects. He has committed to Ken Ghosh's next, a musical drama for which he is growing his hair and losing weight. Ken and Shahid go back a long way with Shahid having starred in two of this past films - Ishq Vishk (2003) and Fida (2004). Yash Raj Films and Shahid have also been discussing a film to be directed by Anurag Singh a close associate of Aditya Chopra. The film is expected to roll in March. There is speculation that he may end up signing a multi film deal with the banner. "We're still in talks. I won't deny that he has offered films to me, but it wouldn't be right to comment on it till everything is finalized. Adi is out of town and a clear picture will only emerge once he's back," Shahid said recently. Shahid's father Pankaj Kapur, who is of the opinion that no director has yet been able to extract the best that Shahid is capable of, is also planning to direct a film with Shahid in the lead. boot Kareena out of his life earlier! Yesterday Shahid Kapoor, who was shooting for 'Mausam', fell off a giant wheel and injured his hand. Now this is what you call breaking news in literal sense. Shahid Kapoor fell of a giant wheel yesterday and almost broke his hand. He was shooting at Jogeshwari for his film Mausam directed by father Pankaj Kapoor. Luckily he didn't fell from great height so his hand injury was not very severe. He was rushed for medical aid and is advised rest by doctor. Incidentally this is not the first time when Shahid Kapoor injured himself while shooting for Mausam . Last year, while they were shooting in Scotland, Shahid hurt his back badly due to which the shooting schedule of the film went for a toss for some days. However this time Shahid's injury won't cause much problem for the film since Mausam is almost complete with a few days of patchwork shooting pending. 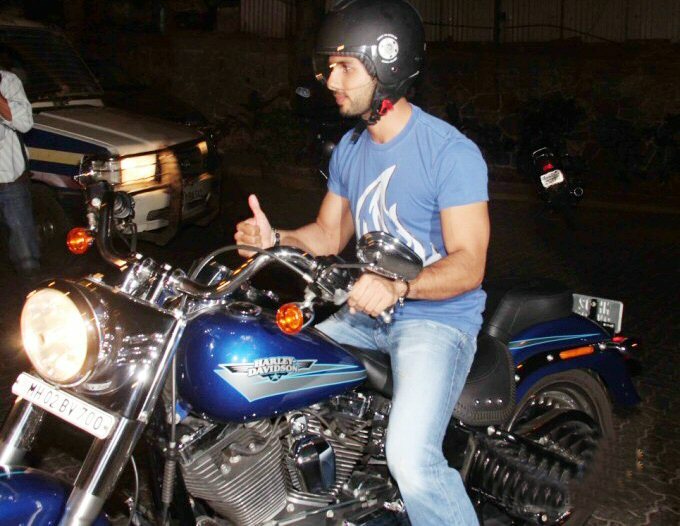 Shahid Kapoor Drives into Ranbir Kapoor's House Party In Style! Ranbir Kapoor wanted to create a buzz by hosting a house party, but his guest Shahid is the one that ended up doing it. Shahid drove to the party on his motorcycle. The actor came in with style, and the paparazzi loved it! They were all over Shahid when he drove in. Several members of tinsel-town attended Ranbir's party which was held at his Krishna Raj Bunglow, in Bandra. The invited celebs included famous director Karan Johar, actress Anushka Sharma, and Soha Ali Khan who walked in holding hands with her beau, Kunal Khemu. Their affection also stirred up a bit of buzz! Bollywood actor, Shahid Kapoor arrives. After all, rumor has it that Soha brought Kunal home to introduce him to her mom, Sharmila Tagore. Sounds serious! With all this gossip going on about the guests as they arrived, we can only imagine how much drama went down at the party. Shahid Kapoor looks away from photographers and the party because he is ready to party! It seemed like everyone had a blast, as the guests partied till dawn. With Ranbir Kapoor making a name for himself starring in one hit film after the next, it makes perfect sense that he is now the popular guy who everyone wants to party with! His parents Neetu and Rishi are currently out of town in New York for the Indian film festival so may be Ranbir held the event while they were away knowing things may get rowdy!? Who knows? What we do know, however, is that Ranbir had a star-studded guest list. We all know B-town likes to have a good time, and it looks like Ranbir's bash was the place to be last night! Ranbir hosted, but Shahid stole the attention with his grand entrance! 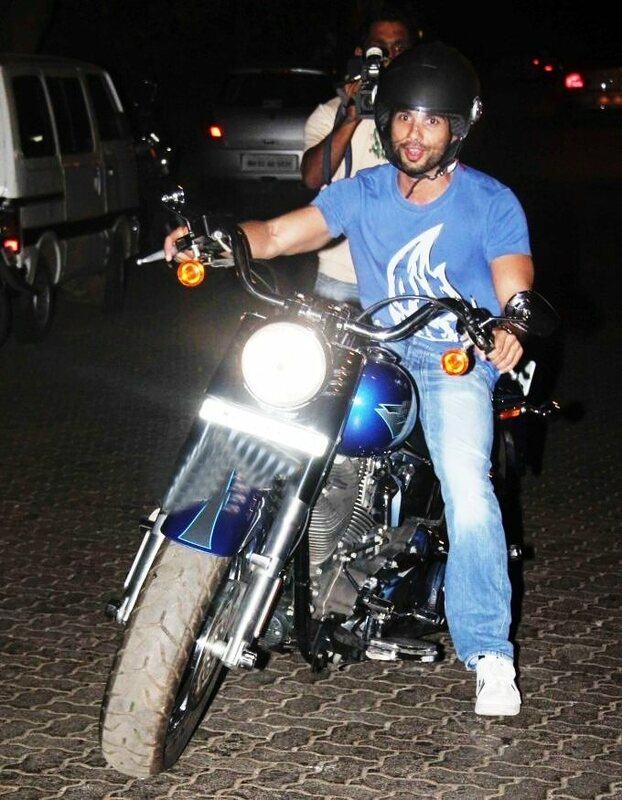 What do you think of Shahid Kapoor driving to Ranbir's party on a motorcycle? Does he look hot or not?